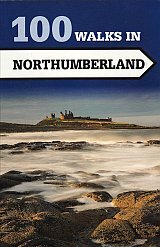 Northumberland offers a wide range of delights for the walker - from coastal walks to important historical features such as Hadrian's Wall. This collection of 100 walks of up to 12 miles will help you explore the best of this diverse county. The Crowood Walking Guides give detailed and accurate route descriptions of the 100 walks, with full-colour mapping and details of where to park and where to eat and drink, and places of interest to see along the way. Of great interest to anyone living in Northumberland, or visiting family or friends and who enjoys walking - from retirees to young families. Illustrated with 100 colour route maps and one regional map.